Karan Johar's magnum opus Kalank starring Alia Bhatt, Varun Dhawan, Sonakshi Sinha, Aditya Kapoor and Madhuri Dixit and Sanjay Dutt will hit the screens on April 17, 2019. 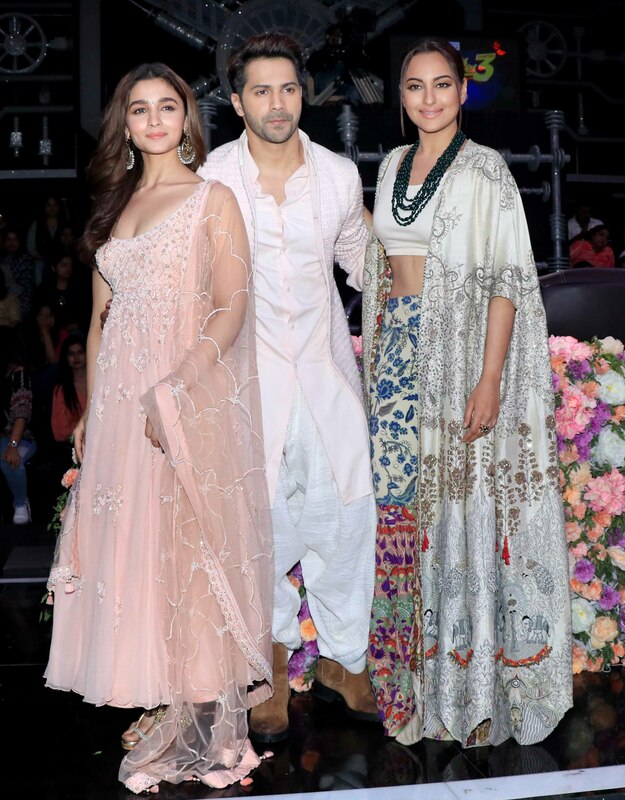 As a part of a promotional event, Alia Varun and Sonakshi were spotted on the sets of a reality show. The actors were seen in traditional Indian outfits. 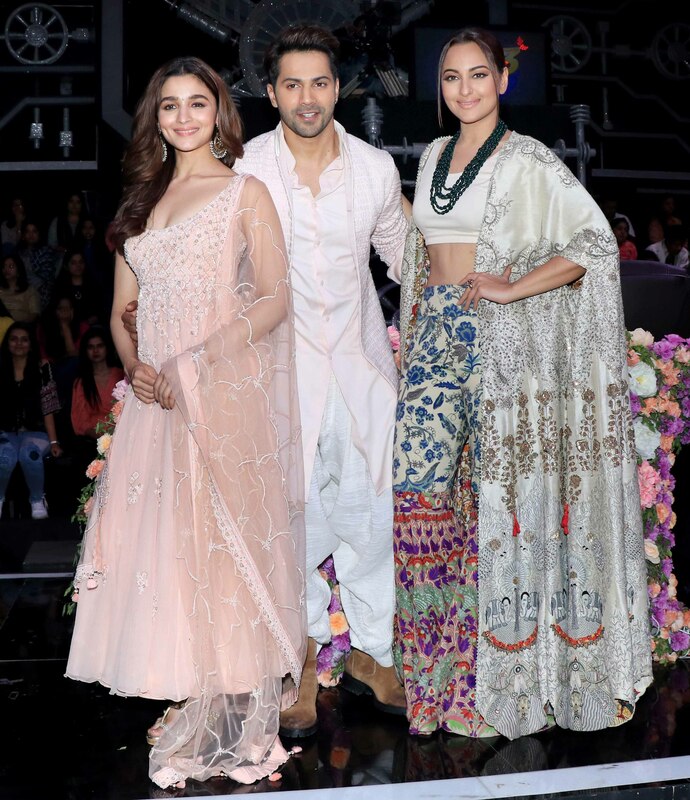 Kalank co-actors Alia Bhatt, Sonakshi Sinha and Varun Dhawan clicked on the sets of reality show. Alia Bhatt looked regal in a peach lehenga as she posed for the photographers on the sets of reality show.